Today is the final day of the Valentine Main Street Vision 2022 workshop. So far over 100 local residents have attended sessions and expressed ideas about the project. Tuesday the Nebraska Department of Transportation representatives participated and shared information about the construction process and worked with local residents discussing design ideas. The public is invited to attend a presentation this evening on the proposed design and economic programming options for Main Street. There will also be discussion about the next steps. The social hour with refreshments will begin at 5pm followed by a presentation and question and answer session. It has been stressed that this construction is scheduled for 2021 and 22 whether or not the local community has input or not. This is an opportunity for residents to have input on function and appearance of Main Street and not just accept what someone else says is right for our community. 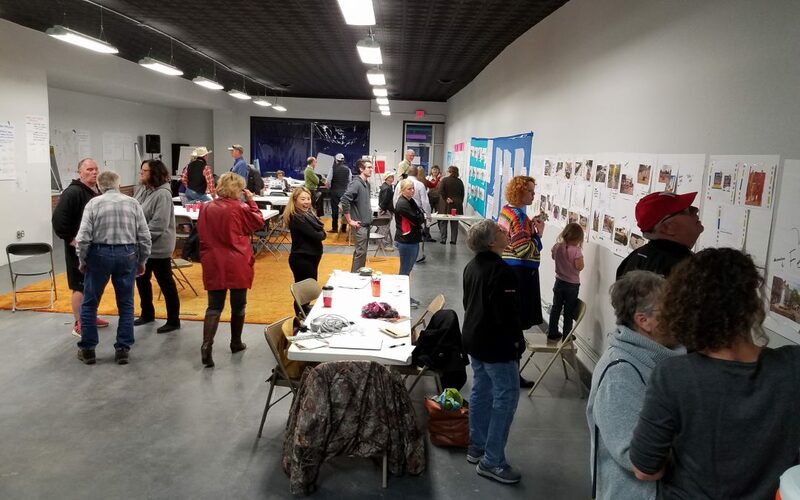 During the day today, residents are welcome to stop by and look over the numerous ideas represented by images on the walls and take part in the discussion about the proposed design. The event is being held at the former Clinic Pharmacy building at 272 North Main Street.